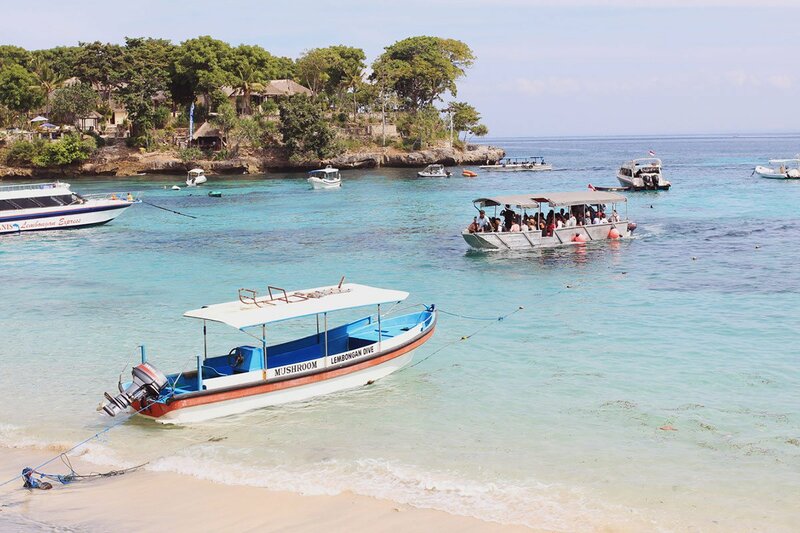 A speedboat headed to Nusa Lembongan. All photos by Katie McKnoulty. 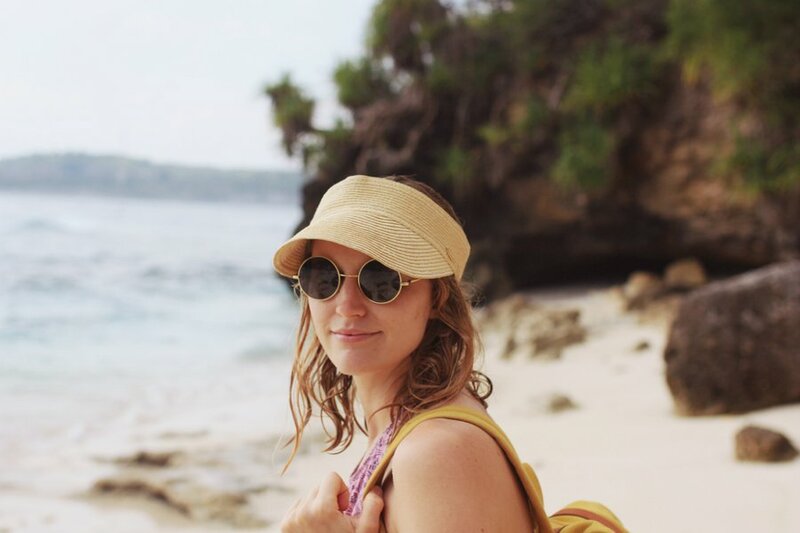 Katie McKnoulty of The Travelling Light is one of our favorite explorers to follow on Instagram. Her bright and optomistic snaps constantly inspire us to #findthelight wherever we go. 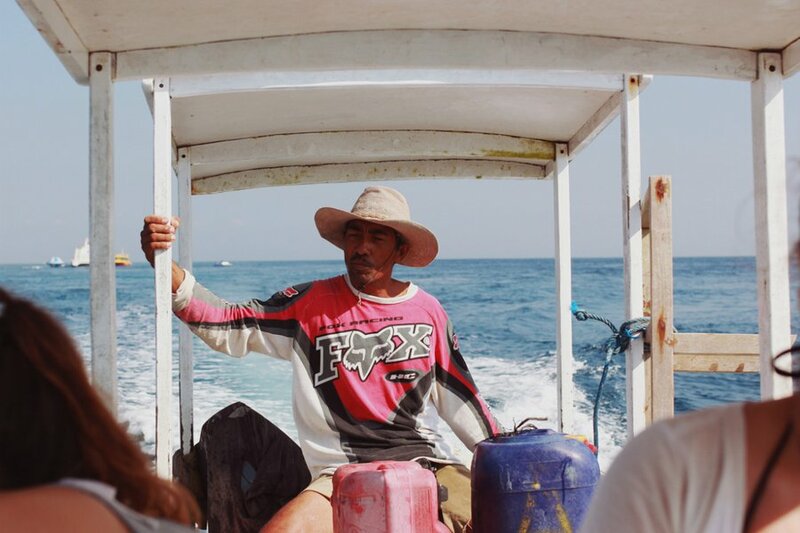 She captured a recent trip to Nusa Lembongan, one of Bali's best kept secrets, and graciously agreed to share it with us. 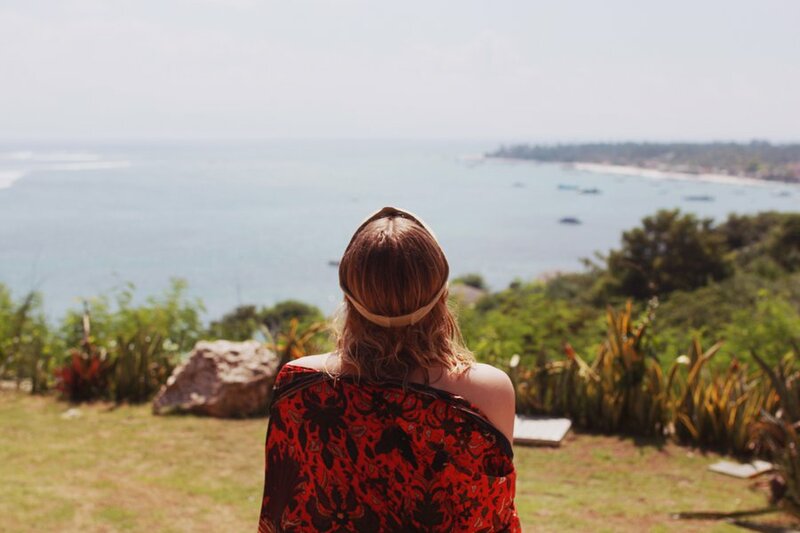 NUSA LEMBONGAN, Bali – During a two-month stint living in Bali, I planned a weekend escape to a Nusa Lembongan, a small island nearby. 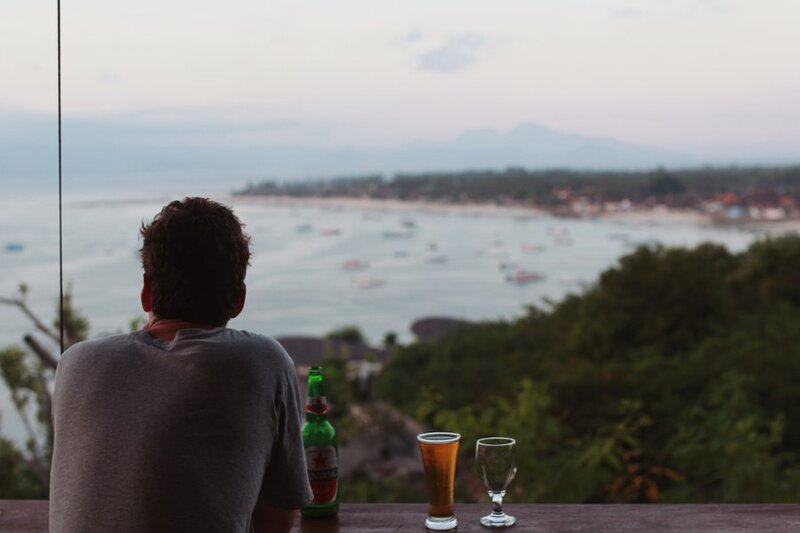 Nusa Lembongan is the kind of place where you find yourself immersed in adventure and the outdoors — pot-holed trails through scrubby forests, chickens running wild, blue waters, little bays, surf spots, and natural beauty. It makes you feel free. Sure, there are resorts and developments, but they have yet to take over the place. Right now it's a mix of fantasy holidaying mixed with down-to-earth adventuring. Cliff Villas Lembongan is a spectacular place to stay, set in the cliffside overlooking the island's big, blue bay and Bali's mountains and volcanoes. From Sanur take the half-hour speedboat to the island. You'll be surrounded by crystal-clear water the whole way. 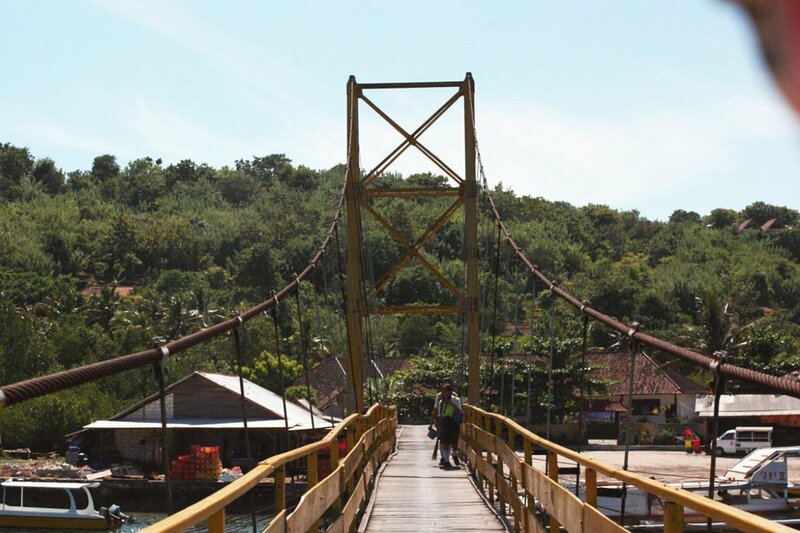 Escape by scooter over the rickety wooden bridge to the even less-developed Nusa Ceningan for lunch and afternoon exploring. 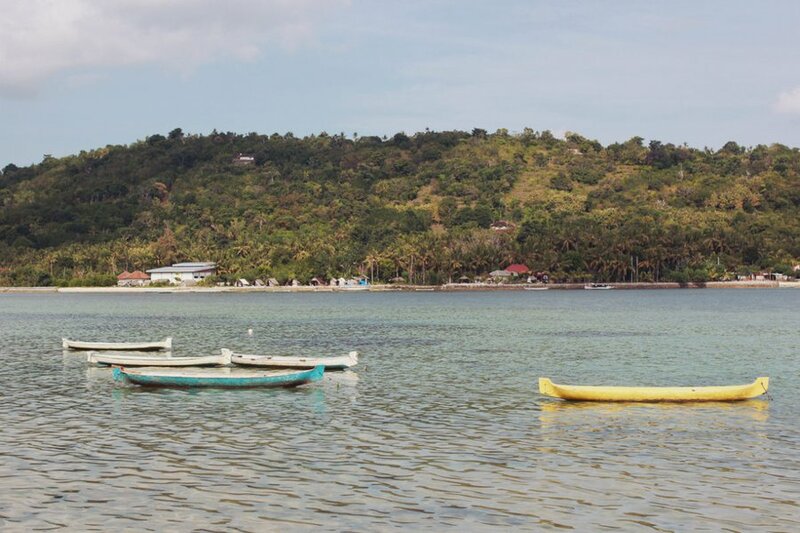 Stop by mini-resort The Palms Ceningan for fish tacos while watching the surfers ride huge waves on the horizon. Dips in the pool are included. Surfers and non-surfers line up at Mahana Point to take a leap of faith from the designated cliff-jumping spot into the rolling waves below. We may or may not have emerged bloodied and bruised...extreme caution advised! 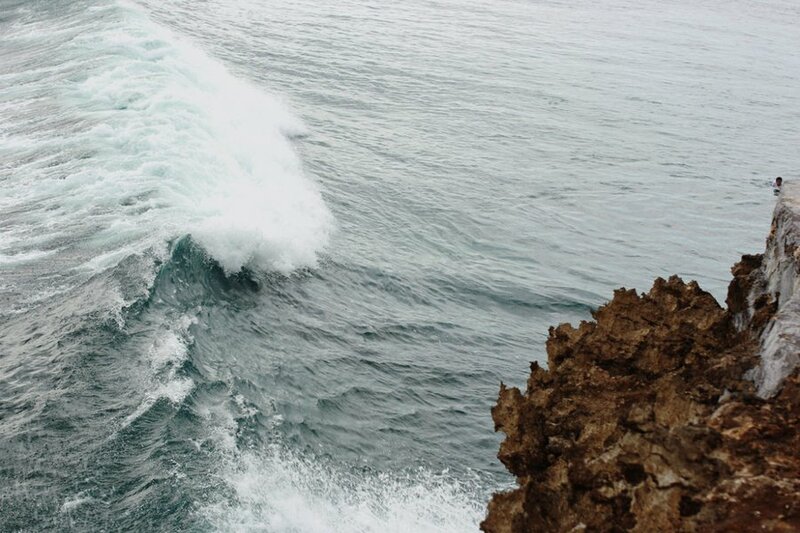 After your jump, stumble a few steps up to this cliff-perched, Bintang-only bar overlooking the surfers, cliff jumpers, and waves crashing below. If you must jump, time your entry to avoid monster waves like this one. Beautiful colored boats like this one sit atop the calm waters between the two islands, Nusa Lembongan and Nusa Ceningan. 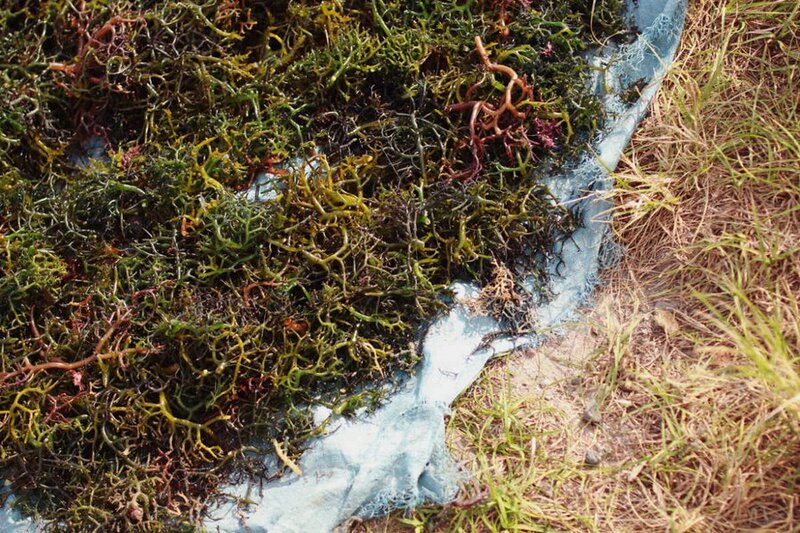 Seaweed farming is a big industry. The farmers wade the waters between the two islands to collect it. Though not very appetizing, it really is quite pretty. Head out to the open seas onboard customary wooden boats (they're everywhere) for snorkeling at neighboring island Nusa Penida. Spend a few dreamy hours under the sea. 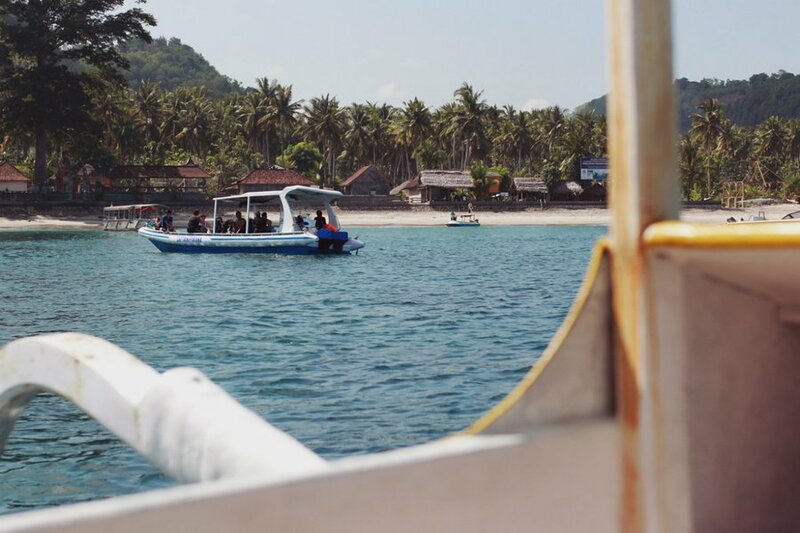 Catch glimpses of oasis island Nusa Penida from the boat. 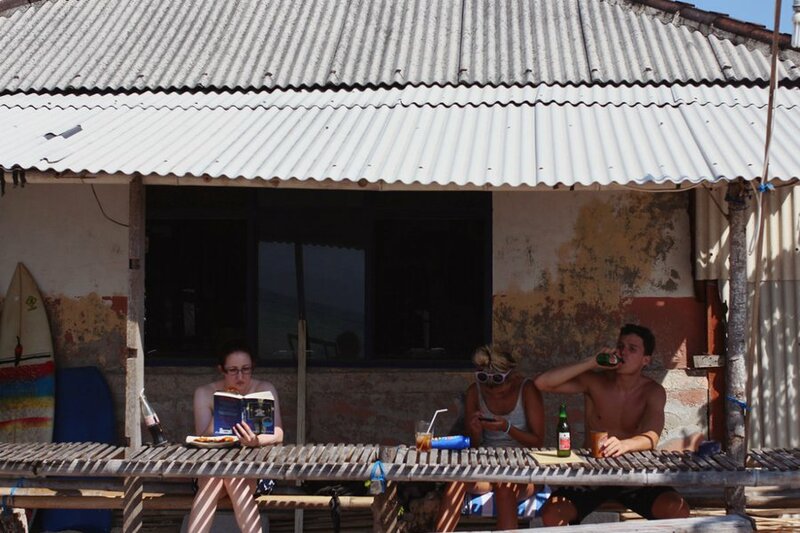 Maria and her family make everything at their shack in the sand, from scratch — grilled fish, traditional nasi goring rice dishes, and vegetarian curries. It's all delicious. 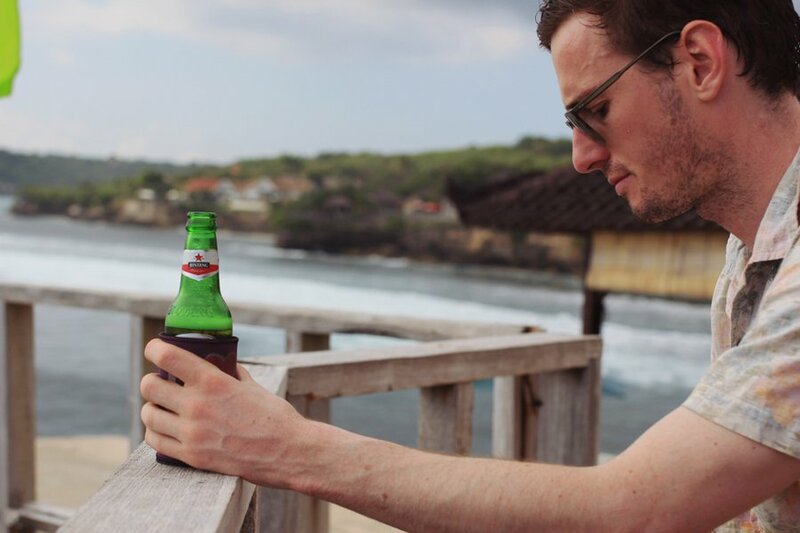 Sunsets on the islands are well-spent with a local Bintang beer in hand. 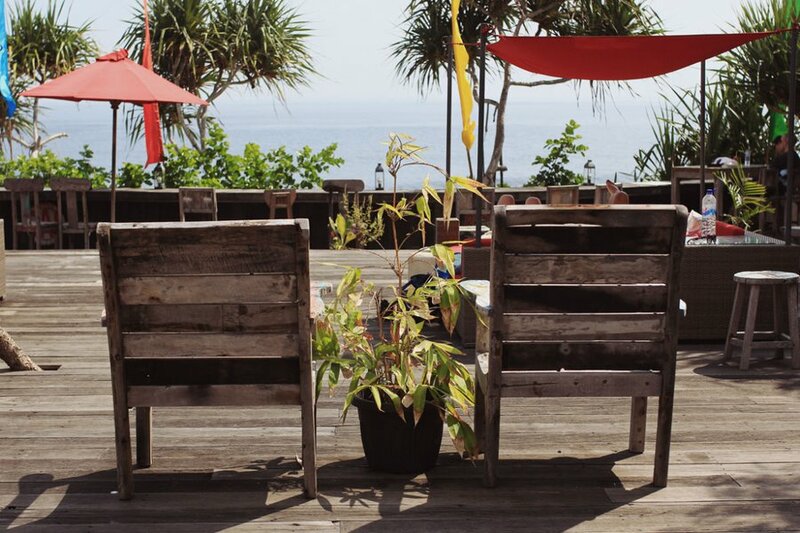 Prime sip spots include Lembongan Cliff Villas, Panorama Bar, and The Deck. 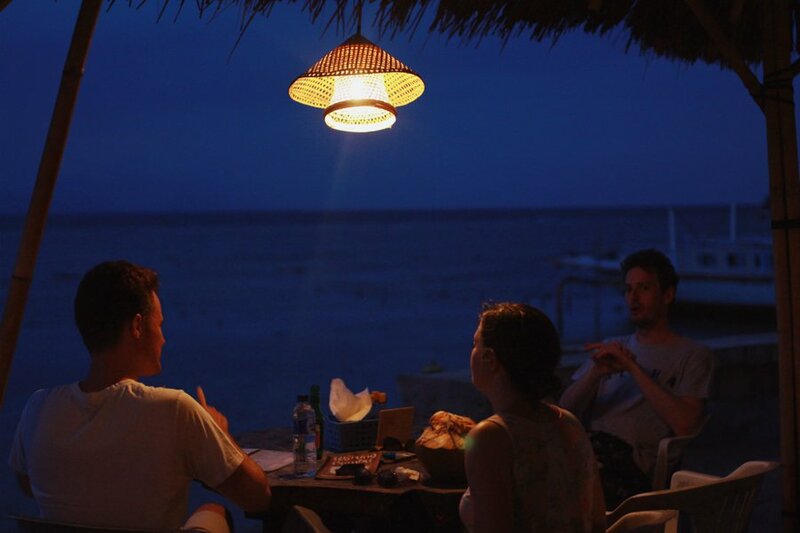 When the sun goes down, head to a local seafood warung restaurant down by the mangroves for fresh fish dinners with your toes in the sand. 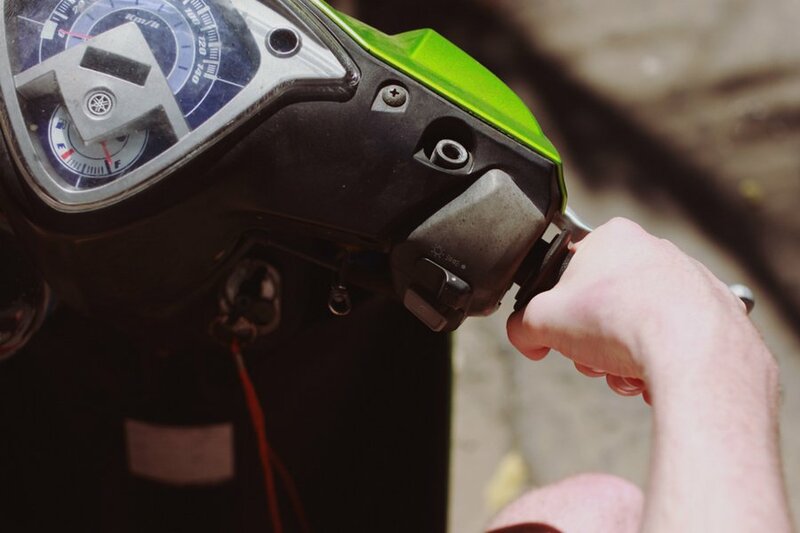 First things first, hire your own scooter for ultimate freedom. Take to the bumpy winding roads all over the island, get lost, then found, then lost again. Sneak into this hotel and make your way down to their secret beach. 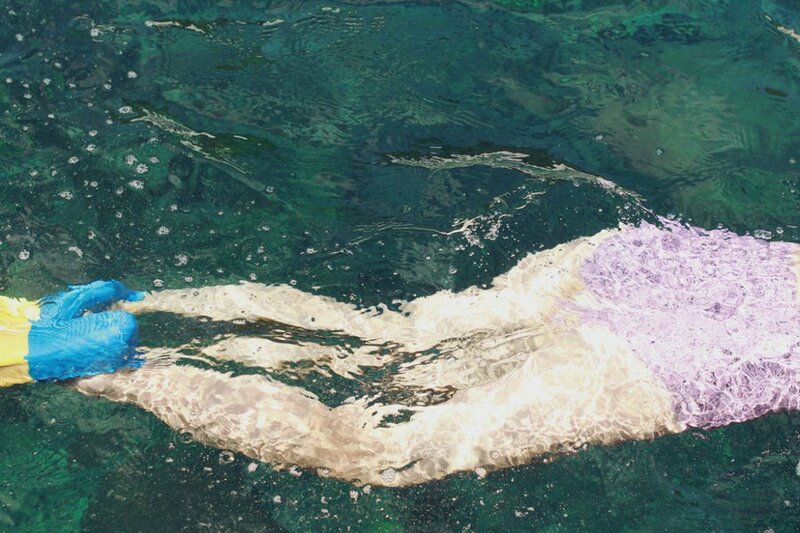 There's something in the water here - it's crystal clear, blue, and extra cold and refreshing, so swim!